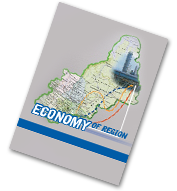 Author - Main - Journal "Economy of region"
The article presents the hypothesis that the increase in the intermediate consumption caused by the growth of material costs due to innovation and modernization temporarily reduces the level of economic efficiency. This leads to further multiple increases of final product volume, which, in turn, increases the region’s economic potential and competitiveness, provides its enhanced participation in inter-regional and international exchange processes. The authors consider the main factors and conditions that determine the variation of these parameters in the market economy and discuss the intermediate and final product, export, import and others. The results of the analysis, calculations and statistics reveal and confirm the possibility of their measurement with the use of interindustry balances. The study aims at assessing the quantitative interdependence of intermediate and final products growth based on the analysis of interregional and international exchange in the system coordination to macroeconomic indicators of the socio-economic development of the region during the periods of planned and market economy. Another purpose is to determine the directions of the region’s participation in the division of labour and implementation of innovations in order to increase of gross domestic product. On the example of the development of Bashkortostan economy, the authors have revealed that a greater involvement of the region in the foreign economic processes led to the increase in the flow of exports and imports and the simultaneous reduction of production export to other regions of the Russian Federation and import from them. At the same time, the region has focused mainly on the export of fuel and energy products. The proportions of intermediate and final products in the period under review have changed by increasing the final products. That confirms the improvement of conditions for the growth of the region’s competitiveness. On the example of oil-extracting and oil processing industries, the authors have proved that the modernization and introduction of innovative approaches to the organization of production are an effective tool for multiple increases of the final product volume, despite the increase in intermediate products. The issue of economic growth has become urgent since the country’s leadership set the task of doubling general domestic product (GDP) for the period from 2001 to 2010. We calculated the required annual growth rate and analyzed it both by year and over the past few years. The results suggest that GDP has not doubled within 10 years. Thus, it is appropriate to consider separately the pace of Russian economy on the whole and the total gross regional product (GRP) of its constituent regions. We analyzed its contradictions and disproportions restraining dynamic economic development at different levels. As a hypothesis, we assumed that the problems of the country’s economic growth mostly stem from such contradictions in the regional development. The research base was information on the volumes and dynamics of the Russian Federation GDP and GRP of its regions from 2001 to 2016, which indicate economic growth. We have assessed whether GDP and GRP dynamics was conform to the strategic guidelines of Russia’s economic development. We processed the dataset using a number of methods such as grouping, average and relative values, analysis of time series. Firstly, this processing has revealed, that the objective of doubling Russia’s GDP has not been met even over 16years (only 3.57 % was reached instead of the required average annual rates of 4.42 %). Secondly, over 16 years, the leading regions have been steadily developing whereas outsiders have become weaker, and the factors of regional development have remained unchanged. Thirdly, the analysis of the Republic of Bashkortostan case demonstrates that the existing model of regional economic growth, as well as the impact of the base effect, has reached its limits. Thus, growth rates are slowing down alongside with increasing absolute production volumes, while the ratio of intermediate and end products persists in the long term. Consequently, the regional economy lacks systemic positive structural changes, without which breakthrough economic growth is impossible. The obtained results can be used for improving the analysis and forecasting techniques of Russian regional development and forming an effective regional policy.